Search for all "Immunoglobulin J chain"
Mouse anti Human Immunoglobulin J chain OTI3E12. 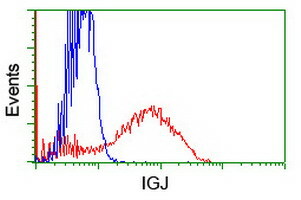 Full length human recombinant protein of human IGJ(NP_653247) produced in HEK293T cell. 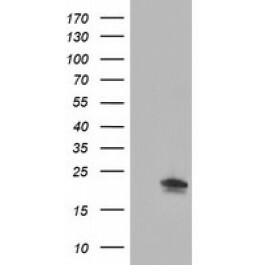 Transient overexpression cell lysate was tested with Anti-IGJ antibody (H00003512-B01) by Western Blots.